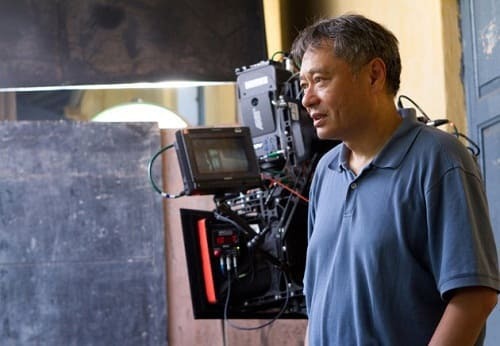 Oscar-winning director Ang Lee has had quite the varied career and further proof of that innovation was evident with the first Life of Pi trailer. The filmmaker behind Brokeback Mountain, Crouching Tiger, Hidden Dragon and The Hulk is equally at home with small indies and big blockbusters. He further pushes his comfort zone with the filmed-in-3D epic based on the bestselling book Life of Pi by Yann Martel. Movie Fanatic met Lee in Las Vegas to talk about Life of Pi and from the sound of it, when he read the novel, he wasn’t sure a film was even possible. “The book is good on its own merit. It’s fantastic and mind-boggling. In terms of thinking of it as a movie, it feels impossible. The premise of the book kills movies,” Lee said and laughed. 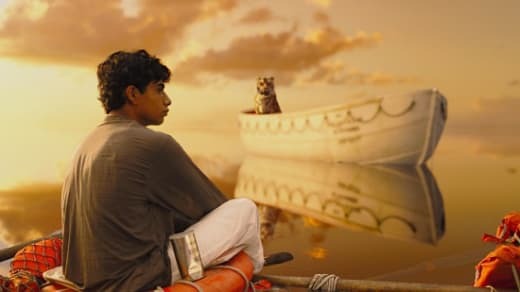 The story of Pi is about a young Indian man who, while moving via ship to Canada with his family, finds himself alone in a life raft with a tiger. His family's boat sunk in an insane storm. Pi’s family owned a zoo in India and when times got tight, they packed up the animals on a ship and sailed with them to North America to sell them to another zoo and settle in the Great White North. The director admitted that he is the type of man who, when a challenge seems unsurpassable, he and his team dive in. “When it comes to technical, we’re fools! We’ll try anything that we think will work. You just get that somehow, someway it is going to work,” Lee said. But it was the telling of Pi’s story and the vast landscape created by the book in his head that Lee wondered how to bring to the screen. “The essence of the book is in his mind and channels the power of imagination. If you want to capture that, you are making an expensive movie which has to have broad appeal to the public. You stretch the power of the storytelling and examine it at the same time. That’s the most daunting challenge that I faced. In some ways, that’s what I get hooked on because it seems so impossible. After 20 years, I can still make a movie like a virgin,” he said, laughing. It's teased in this The Life of Pi featurette... the fact that the story has an open-for-interpretation ending. Its biggest asset is how it opens up a platform for discussion. “It’s about thinking about the unthinkable -- the leap of faith when it comes to the subject matter of God. How is our emotional relation with the unknown? There’s also the concept of fate, you cannot prove it and movies are very realistic media,” Lee said. How do you discuss illusion and the importance of illusion when it comes to surviving on the open water for weeks at a time with a ferocious Bengal tiger? “That is more important than reality in this case. That’s something as an artist and storyteller, I deeply appreciate. It brings out the power of storytelling in relationship to God and how that brought meaning to life and how it brings us together,” Lee said. When Suraj Sharma walked in and auditioned, Lee knew he had his man. “As you see, he has a very compelling face. Most of all, I think the biggest talent an actor has is their ability to have the audience believe them. The investment of belief is what counts,” Lee said. Lee found it rewarding, albeit a bit strange. “In terms of shooting, it’s clumsy. It’s not handy. Changing lenses used to take a minute. It will take at least 20 minutes for 3D. You have to think about it before you make a move. Sometimes there are technical problems, and you just don’t know what to do,” he said.